Getting serious into drifting? Want to compete at out of state events? Then you should be looking into car transportation. These tips should help you pick the perfect company to transport your pride and joy. Whether you have been drifting a while. or you’ve just considered getting into the sport, there will come a time when you may need to have your drift car transported across the country. That time may be when you buy the car and need to have it hauled home, or it may be when you are preparing to enter a race that is on the other side of the country. Either way, most people who have never had a need to have such an incredible car shipped a far distance will have some questions about what it’s going to cost and how they need to prepare to have the car transported. Looking to pick up your first drift car? Our Best Drift Cars For Beginners article was written just for you. When you enter a sport like drifting where the cars are often expensive to maintain, and in some cases this means drivers can spend up to $20,000 or more annually just to keep the cars in superb condition for drifting, then you might already know that you need to take time to consider who you will hire to transport your drift car across the country. You also must determine how the car will be shipped and, storage arrangements if it must be stored for a brief time. If you happen to be a control freak and need to make sure you always have the upper hand in life, you’re going to find it especially important to choose the perfect transporter for your drift car. Try to avoid settling on the first company you call for a transport quote. Check with at least five companies to compare rates and services to see if they are competitive. Any low ballers should be marked off your list because all too often, a company that quotes an extremely low rate will add extra cost on after you book service and you will end up paying more than you would have with the other companies. Make sure you compare rates based on the same services including carrier options for open or enclosed transport, insurance coverage and even tracking availability. On average, you can ship a drift car on an open carrier across the country for under $1500 with open carrier transport. Most drivers want to make sure their investment is handled safely and is secure the entire time it is being transported however and will choose to ship inside a container truck where it will away from poor weather and other elements that could potentially cause damage. Damaging elements include curious people who think it’s cool to pose for pictures when they see an interesting car, or worse, vandals or thieves who see the car and decide to engage in a little criminal mischief. Transporting a drift car inside a secure container will help elude the criminals and keep the car safe from the time it is picked up until it has been delivered safely into your hands. A-1 Auto Transport, a company that handles drift car and other race car shipments coast to coast says that a container will cost up to $500 more than open carrier options, but for the safety measures taken, that cost increase is well worth the investment spent. Have a spare set of keys made for the driver. Secure any loose parts and remove all loose personal belongings from inside the car. 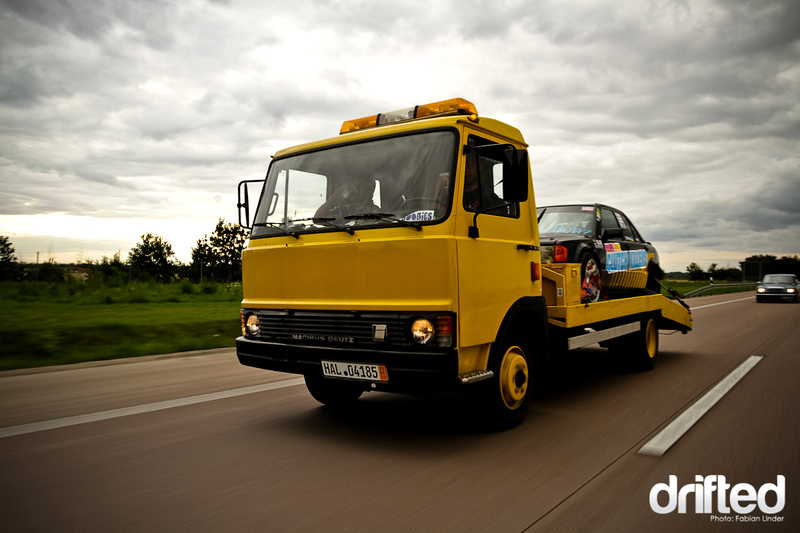 Carriers cannot legally haul property inside a car, so make sure the car is empty. Wash the car and make sure there is no dirt or mud on the undercarriage or tires. Drain the fuel to one-quarter tank or less. Have a maintenance inspection ahead of time to ensure the oil and other fluids are at an appropriate level. Take detailed photos of the car from all angles and then save your photo files until the car is returned to you. 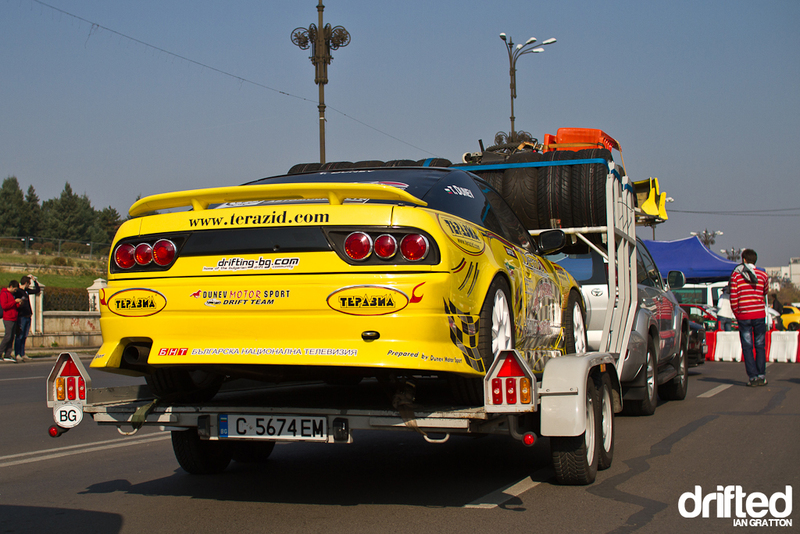 Having a drift car transported can be a tedious thing to take care of, but when you take time to thoroughly check transport companies out, have the car ready to go and stay on top of everything, you will have a stress free time away from the car and will be able to feel secure in the knowledge that the right company is handling the transport for you. « Black Friday Enjuku Racing Deals REVEALED!